Certified Nurse Assistants are usually the primary caregivers in long-term care facilities. They assist and work under the supervision of a registered nurse or licensed practical nurse to attend to residents’ daily needs, such as bathing, dressing, eating, and using the toilet. They help residents get in and out of bed, provide emotional support, serve meals, check vital signs, observe and report patients’ response to treatment plans, answer call lights, set up and clean medical equipment, and measure fluid intake and output. CNAs work in private homes, hospitals, and long-term care facilities. According to a survey conducted by AARP, there are over 1.5 million nursing home residents who are 65 years or older. CNAs account for over 65 percent of the nursing jobs in nursing homes across the United States. A high school diploma or health care experience is not required to work as a CNA. However, you must complete a minimum of 75 hours of training in a Texas state-approved nursing assistant program and pass a competency evaluation to be added to the Texas Nurse Aide Registry and work in a long-term care facility. While a career as a CNA can be rewarding, it is also demanding and hazardous. CNAs must be physically capable of standing for long-hours, bending, and lifting heavy loads. Work-related injuries are common in the profession as well as exposure to infections and attacks from sometimes-violent residents. CNAs must be flexible and willing to work weekends, nights, evenings, and holidays as nursing homes provide round the clock care. There is a current shortage of CNAs due to the retirement of existing CNAs, high industry turnover rates, and a surge in the elderly population in need of long-term care. According to the United States Bureau of Labor Statistics, employment for CNAs is projected to grow 11 percent through 2026. CNAs in Texas earn a mean annual wage of $25,410. The nursing assistant program at the Center for Economic Development at Del Mar College is designed to give adults the requisite knowledge and skills to care for residents in a long-term care facility. The course comprises of classroom, laboratory, and clinical experiences that will enable graduates to pass the state competency exam for nurse aides. Course topics include residents’ rights, safety, observation, communication, personal hygiene, resident comfort, observation and reporting, infection control, anatomy and physiology, and nutrition. During the clinical experience, students will apply occupational theory and skills learned in the classroom to prepare for an entry-level role as a nursing assistant. A clinical instructor will directly supervise students during the externship at a local nursing facility. The school offers the program as two separate modules; students must enroll in both modules (NURA 1001 and NURA 1060) concurrently. A rapid track, morning, afternoon, and evening track are available. The rapid track may be completed in two weeks. Classes meet Monday through Friday from 8:00 am to 5:00 pm. Tuition includes the Texas Department of Aging and Disability Services registry examination fee. 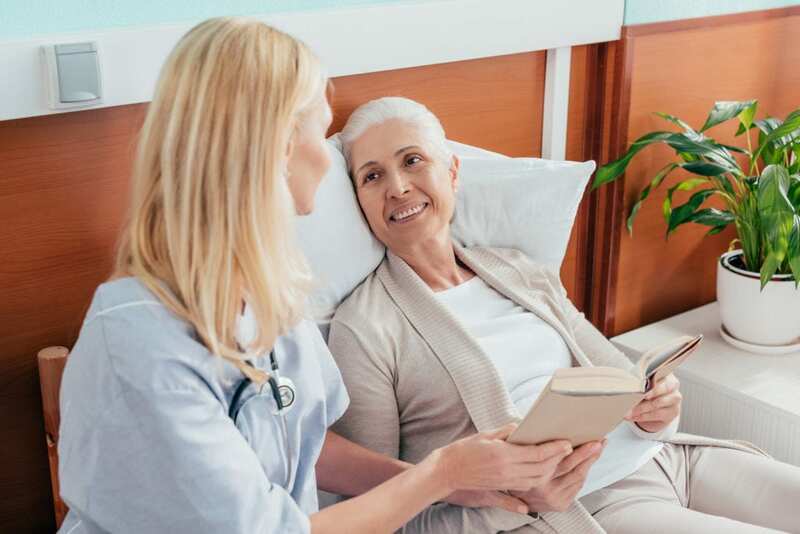 The nursing assistant program at SCI covers the essential knowledge and skills adults need to provide basic care to residents of a long-term care facility. Students learn how to assist residents with the activities of daily living, promote resident residents, and observe, report, and document concerns. They also learn how to communicate effectively with residents and function as a competent member of the health care team. The program covers 100 hours: 40 theory hours, 20 lab hours, and 40 clinical hours. Course modules include introduction o long-term care, personal care skills, basic nursing skills, restorative services, mental health and social services, and social skills. The lab training provides the opportunity for students to develop skills in a mock laboratory setting that replicates the equipment and supplies used in long-term care facilities. They will then apply the skills learned in a real-world setting during the clinical experience. Any missed sessions must be made up. Students are not allowed to make up more than 5 hours of make-up time. Have current BLS Healthcare Provider certification before the clinical practice – training is available at SCI for $25. Tuition for the 5-week program is $1,200.